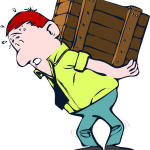 Moving is never easy, especially with all the work that has to be done. You need to make sure that you have everything packed up, and you also need to ensure that all your stuff gets to your destination without any hassle. However, due to the fragility of your television set, figuring out how to place it might be difficult. Apart from physical damage, it is also possible for your TV to get damaged due to the effects of dust particles. When moving, there’s a lot of things that can happen to your TV. Among them is the fact that dust particles can easily get into some of its most important components. If this happens, the damage is very possible, and fixing a defect like this will definitely cost you quite a pretty penny. With a TV moving box, however, you can rest assured that your television set won’t be making contact with any dust particles. 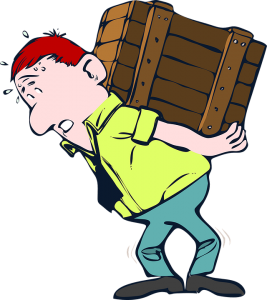 Moving exerts and personnel are usually very professional, but that fact alone doesn’t exclude them from making certain mistakes from time to time. It is always possible for a moving expert to mishandle your fragile item (usually for lack of knowledge and awareness of the fact that the item in itself is fragile and should be handled gently), and the result is usually some form of damage or the other. However, when you put your television set in TV moving boxes and label it accordingly, the chances that a moving personnel knows what it is being handled and as such, he (or she) will be able to take the necessary precautions when handling the TV set.